From the tallest tre e to the smallest microbe, Earth is home to more than 1.5 million known species of plants, animals, fungi, bacteria, and microorganisms. And scientists estimate there could be millions, if not billions, more that have not yet been identified! 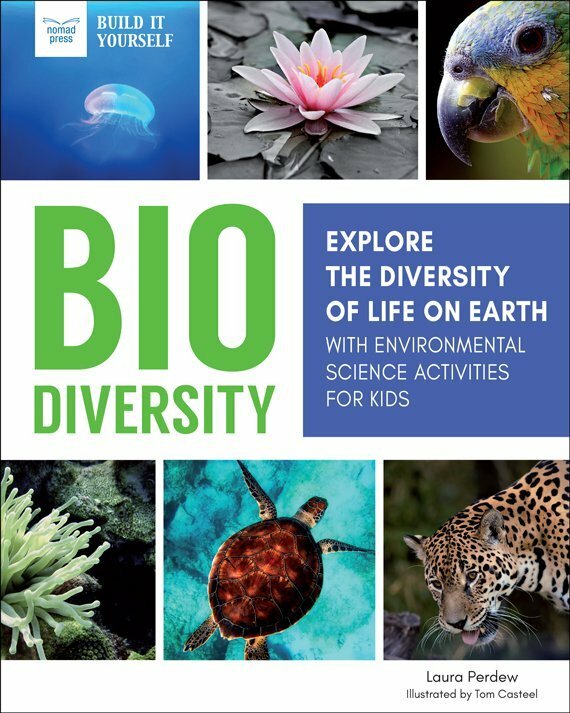 Biodiversity introduces kids to the evolution of life on Earth, beginning with the first single-celled organisms that emerged 3.8 billion years ago to the complex, multi-celled organisms that exist today and make up the tree of life. Biodiversity is found everywhere on the planet—on land, in the water, and even in extreme environments such as ice and volcanoes. There are actually entire microbiomes beneath our feet, in puddles, and even in our belly buttons (really, it’s true)! 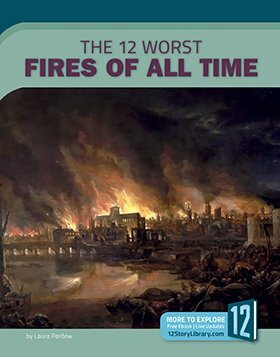 This book is one in a series of 8 on disasters.Learn about 12 of the worst fires in human history, their causes, and their effects. It also includes tips on how to prepare for a fire and to stay safe. 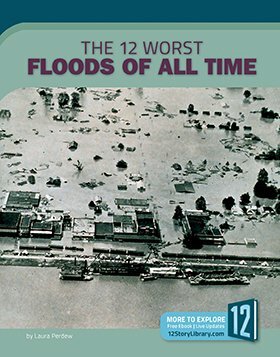 This book is one in a series of 8 on disasters.Learn about 12 of the worst floods in human history, their causes, and their effects. It also includes tips on how to prepare for a flood and to stay safe. 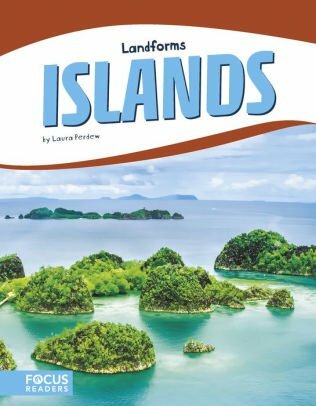 As part of a series about landforms, this book explores the amazing world of islands. It takes readers to different islands on Earth and explains how islands form and change. 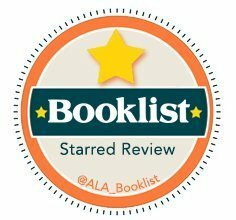 Readers will also learn about the animals and plants that live on thrive on them. 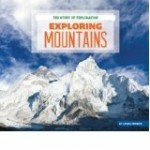 As one book in a series about landforms, this book explores the fascinating deserts around the world. 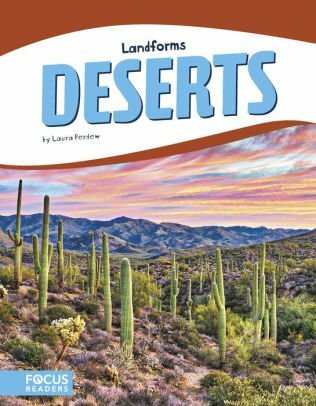 Readers will learn how deserts form and how they change over time, and about the plants and animals adapted to living there. In Earth’s 4.5-billion-year history, over 5 billion species have gone extinct. 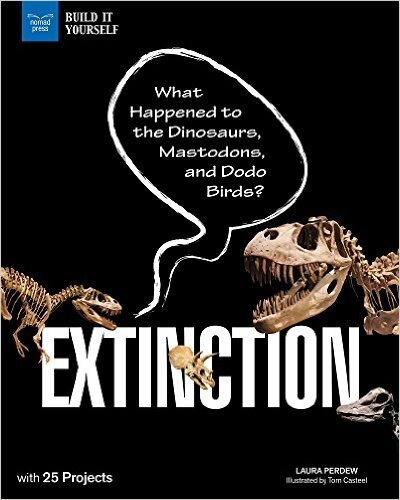 In Extinction: What Happened to the Dinosaurs, Mastodons, and Dodo Birds? explore the mysteries of extinction on the planet – past, present, and future. Paleontologists, geologists, and other scientists follow clues left behind in rocks to determine the reasons for extinction. This scientific detective work is particularly focused on the five mass extinctions that have occurred on Earth, events which killed over 75% of species at one time. Extinction then explores the role that humans have had in extinction since the dawn of man, and whether humans are responsible for initiating a sixth mass extinction. Wetlands were historically viewed as wastelands, areas to be avoided, drained for development or agriculture, or used as dumping grounds. Pollution and fragmentation have also impacted wetlands. As a result, by 1990 more than half of the wetlands in the lower 48 states had been destroyed; worldwide wetland losses are estimated at 60%. Yet as people began to understand the enormous value of wetlands, conservation efforts were launched. Across the country conservation projects are underway in national parks, in agricultural areas, along shorelines, and more. 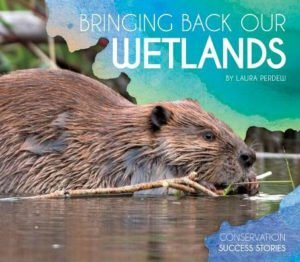 This book celebrates the protection, restoration, and construction efforts of those people and groups, and looks toward a future of conservation in an effort to preserve wetlands’ critical role in the environment. Every year 9 million tons of plastic trash ends up in the world’s oceans. In places where rotating ocean currents create giant whirlpools, the debris becomes concentrated in one area. 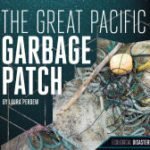 In the North Pacific Ocean, this concentrated area of debris is called the Great Pacific Garbage Patch. This book explores the reality of marine debris, its causes, and the effects it has on marine habitats, marine species, and on humans. Growing awareness of the issue has led many individuals, organizations, and governments to take action to improve the situation through a combination of prevention and clean up. Historically, drought in California is nothing new. However, the one that began in 2012 was one of the worst in a thousand years. 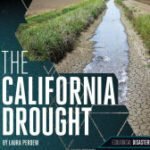 This book explores the both the natural and human causes of California’s latest drought, including climate change, over-consumption, pollution, and over-allocation. It also discusses the impact the drought has on agriculture, urban areas, and the environment. In the face of this devastating drought, however, there are steps that both individuals and governments can take to save water now and to ensure water use is sustainable into the future. The virtual world offers limitless possibilities as to where one can go, who they can interact with, the communities they belong to, the amount of entertainment and information they have access to, and more. Yet everything one does online leaves a footprint – a digital one that builds one’s online identity. 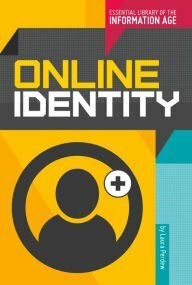 And while the online identity is a virtual construction, it nonetheless impacts and is impacted by one’s real world identity. At issue, then, is what this means for privacy, relationships, communication, and the self. This book traces the evolution of this second self, how to manage the persona put forward in the digital world, how that persona affects the real world self, and how to protect both. As the amount of information grows exponentially every day, information literacy is becoming both increasingly complex and important. 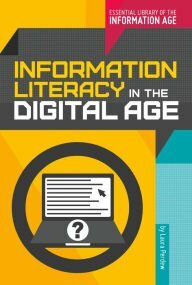 Information literacy in the digital age means being able to successfully acquire, evaluate, and select information available from print, digital, primary, and other sources. As such, on October 1, 2009, President Obama declared October as National Information Literacy Awareness Month: “National Information Literacy Awareness Month highlights the need for all Americans to be adept in the skills necessary to effectively navigate the Information Age.” Information Literacy in the Digital Age takes a look at the new face of information in the 21st century, how to find and evaluate it, and the ethics and responsibilities surrounding digital information. 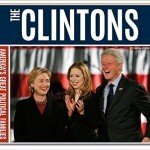 This title, part of the series America’s Great Political Families, traces the Clinton family history, their influence, their scandals, their contributions, and their legacy in the United States. It explores the roots of the family’s political involvement back to both Hillary and Bill’s high school experiences, through their activism at Yale and all the way to the White House and beyond. Chelsea Clinton has also emerged as an integral part of the Clinton legacy, in Hillary’s run for the White House, and in the work of the Clinton Foundation which seeks to help people worldwide to improve health; address issues facing women and children; to increase economic opportunities for those in need; and to take action against environmental issues. Consumers are increasingly looking for food that is grown locally, not only to reduce food miles (the number of miles food travels from farm to plate), but also to find food that is more nutritious, fresh, and sustainable than current factory farming methods. More and more, people are getting to know the farmer who grew their produce or raised their cow through an expanding number of farmers’ markets, community supported agriculture programs, and co-ops. The movement has even extended to restaurants with farm-to-table meals, school lunches, and prison programs. The goal of the movement is to inspire healthy eating while also maintaining a healthy planet. Media messages are everywhere in the modern world. 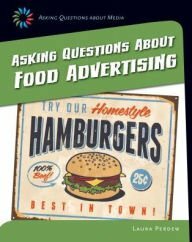 This book, part of the series Asking Questions about Media, allows the reader to understand how food advertisements are constructed in order to influence consumer purchases. In addition, it teaches readers how to deconstruct the messages in order to better understand them and to make informed food choices. From the communal toilets of Roman baths, to the modern, high-tech contraptions produced in Japan, the toilet is indeed an invention that has changed history. 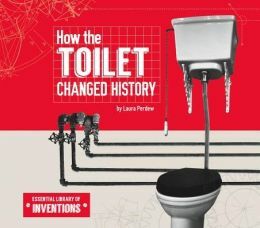 This book traces the evolution of the toilet and sanitation systems through time, and also explores some of the current efforts to provide toilets and proper sanitation to the 35% of the world’s population without. During the Golden Age of Piracy in the early 1700s, pirates ruled the Caribbean. They cut off trade routes and plundered merchant ships. Pirates made off with prizes of tobacco, fabrics, rum, weapons, food, and more. Of the several thousand pirates in the Caribbean in 1720, there were only two known women. One was Anne Bonny, a woman with a fierce temper and strong will. 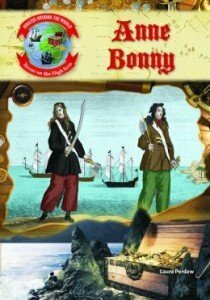 Dressed in men’s clothing, Bonny was known to wield a cutlass, carry a gun, run gunpowder, and take part in every part of an attack. Her story as a pirate sailing with Calico Jack is legendary. What is art? People know art when they see it, yet the definition of art, and what is considered great art, changes over time and across cultures. 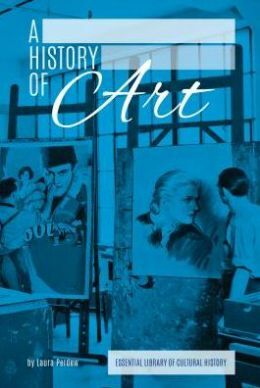 Part of the Essential Library of Cultural History, A History of Art traces the history of art from prehistoric cave paintings and sculptures to art in our modern world. Looking at major art movements through time, it also explores the origins and ever-changing definition of art in the Western World, and highlights pioneering artists, various media, and developments and innovations in art. Over the past several decades the Internet has become an integral part of everyday life. Today’s youth are digital natives, who have grown up not knowing a world without the Internet. Yet many people, children and adults alike, have become addicted. From gaming to texting to spending, Internet Addiction explores the always-on, always connected world we live in and the effects it has on our brains, our connections to others and more. Bullying has become an issue in American schools. Part of the Essential Issues series, Bullying looks at the roles of the bully, the bullied and the bystander and the effects it has on each. 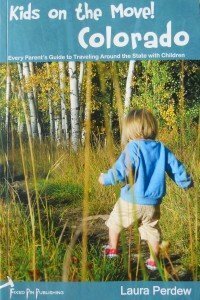 It also explores current legislation, what schools can do to minimize bullying, and the importance of every child taking a stand. Jordan is an ancient land with a modern attitude in the heart of the Middle East. Led by the Hashemite family, Jordan became an independent nation in 1946. The nation has been faced with many difficult challenges in the turbulent Middle East since then, yet remains “an oasis of stability.” Its people are open and welcoming. Their everyday lives are guided by the rich traditions of the past, but the nation itself has emerged as modern and progressive. Lebanon is a small country in the Middle East with a big personality. Since the time of the Phoenicians Lebanon has been at the crossroads of the East and West. Dozens of civilizations have controlled the region. They have left behind spectacular ruins that mark Lebanon’s past. Today Lebanon holds onto its rich, traditional culture yet it is very open-minded and progressive. At the heart of Lebanese culture are family, religion and food! This title, part of the Essential Library for Social Change, follows the history of the animal rights movement in the United States. 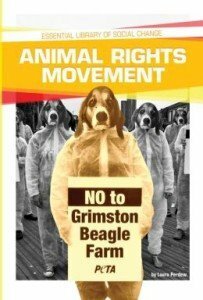 It includes key players, important moments and legislative battles which have ensued in pursuit of the humane treatment of animals, and the philosophical debate over the ultimate liberation of animal from human use. Throughout history, people have always explored new frontiers. This book takes an in-depth look at the history of human exploration of mountains from the earliest climbers, to those who pioneered the Golden Age of Mountaineering, to modern climbers. It also traces the development of the technology and techniques that made the exploration of the worlds’ highest peaks possible.